Mike Madison is a full stack technologist currently working as a senior technical architect at Acquia. With over a decade of experience in web and background in HCI, he has used open source technologies such as Drupal (and Wordpress and Semantic MediaWiki) to solve challenging problems for a variety of clients and organizations around the world. He also contributes to a variety of Drupal community organizations and projects such a Drupal4Gov (which sponsors and puts on Drupal GovCon) where he is the technical lead and as a maintainer of the Conference Organizing Distribution (COD) and Acquia's Build and Launch Tools (BLT). Currently, Mike is working to provide a Drupal 8 platform for hundreds of progressively decoupled e-commerce sites. Recently Mike architected a real time delivery system for New York's Metropolitan Transit Authority (MTA) that provides data using Drupal 8, React, and Amazon's Internet of Things (IOT) to thousands of digital signs around the city. He has presented on this work at DrupalCon and the Pacific Northwest Drupal Summit. Previously Mike built and lead a multi-million dollar Drupal capability at the US Department of Energy's Pacific Northwest National Laboratory. He also spent several years freelancing using Drupal and Wordpress to serve clients across the US and abroad. Mike graduated from Indiana University in 2009 with a Masters of Science in Human Computer Interaction Design. Look, it’s easy to say “my organization doesn’t do X” where X is automated testing, continuous integration, local development, version control, or any other myriad of modern development standards (that you really should be doing). In fact, if your organization isn’t doing some/all of these things, that DOES make it really hard for you to do them. But that doesn’t mean you can’t (or shouldn’t)! Wether you’re working from home occasionally or full-time, while on business travel or as a freelancer, we all work remotely at some point. 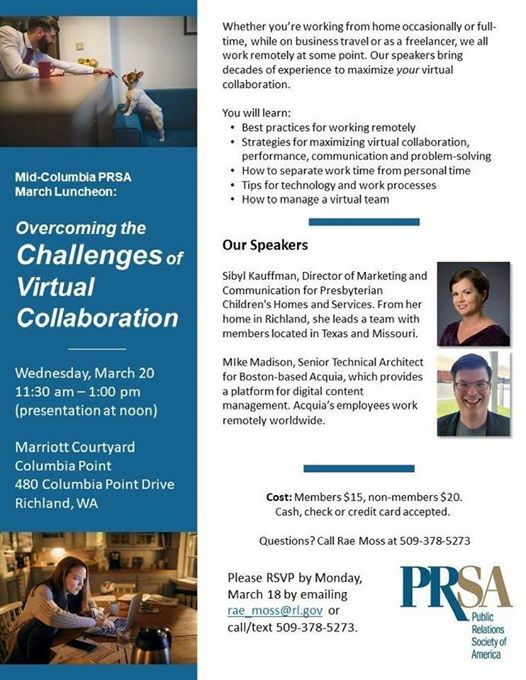 Our speakers bring decades of experience to maximize your virtual collaboration. Configuration is a key concept in Drupal 8 that sits at the intersection of backend development, dependency management, theming, site building, and (in)sanity. Already the community has seen several significant shifts in the recommended "best practices" and with the announcement of a second configuration management initiative, there is no clear end in sight! Everything (nearly) about Drupal 8's development process is different than it was in Drupal 7. Some of it is a "little" different and some of it is so totally different you wouldn't recognize it as belonging to the same software. That's ok! Different isn't scary, it's just... different. Taking an organization that has historically done Drupal 6 / 7 and moving into Drupal 8 is a big step. There are drastically different platform requirements (PHP Version, supporting new technologies like Composer, etc. ), the API has changed into an object oriented model (requiring a more in-depth knowledge of PHP and coding standards than Drupal 7 ever required), troubleshooting and debugging can't just be accomplished with the Devel module, there are multiple ways of managing configuration (each with their own set of pros and cons), and many Drupal 7 modules either don't exist in 8, don't work in 8, are in core in 8, or some combination! There are a lot of changes to keep an eye on. Digital signs are a completely different creature than standard websites, mobile applications, or really just about anything else you might be building. Every stage of digital signage project must be customized and tailored specifically to this medium. In particular, delivery mechanisms for digital signage must be perfectly engineered to ensure that fast, accurate, and consistent data will flow. Unfortunately, even with the API first nature of Drupal 8, Drupal itself isn't sufficient to facilitate all necessary steps to deliver data to a sign. Worse, by adding in additional technologies, you muddy the waters even farther and make testing that much more difficult! One of the biggest struggles for me personally when I began working with Drupal 8 was understanding all the moving pieces that were required to really take the leap. The idea of trying to wrap my arms around everything required to get 8 up and running, all while trying to work on a new project was particularly daunting. Traditionally when people talk about Drupal as a tool they immediately think websites. However as Dries demonstrated during DrupalCon New Orleans 2016, Drupal 8 can power experiences beyond the traditional web. As more data rich APIs become available, Drupal can be used to accumulate data, identify a variety of devices in an Internet of Things network, and then route data to the appropriate places. More, Drupal’s own rich content management capabilities can still be utilized to enhance this datastream, making it that much more relevant based on location, language, or a myriad of other metadata stored in the CMS. In this presentation we will demonstrate how to use Drupal 8 to power a real-time signage system and discuss the techniques you need to build your own! Deploying a site is easy; having confidence that it works as intended after the build is hard. In this talk, we will outline our automated build workflow and show how we have integrated automated testing to ensure that builds don’t break sites. This process focuses on two critical steps: verifying functionality, which is accomplished using more traditional test suites like Behat and Selenium, and verifying the actual look/feel of the website, which is accomplished with a visual regression test performed by Wraith. These testing suites allow us to quickly pinpoint errors that might have slipped through all but the most rigorous manual testing. Only after all of our tests are complete can we merge branches and move on to the next step.